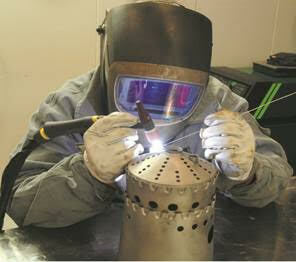 Engine Services Partners Sweden has increased the in house welding capability to the EASA Part 145 approval rating. The welding capability covers rating B1, B3, C1-C20.Our welders are trained and certified in accordance with BCLM 3.3, FSD TO ALLM 540-000002D and have the competence to weld in Stainless Steel, Aluminum, Nickel andTitanium material alloys.We maintain state of the art Welding, Heat Treatment, Non Destructive Testing and sheet metal work capability. Our EASA approval allows us to perform weld repairs on any a/c part where we have approved data. Our EASA approval allows us to perform weld repairs on any a/c part where we have approved data.We perform welding work for SAS, TAM, Patria, Norrlandsflyg, Skyways, Amapola, Direktlyg, HeliAir, Avia Express, AirIceland amongst others. 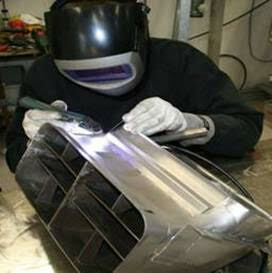 Our skilled Welders and Technicians will prepare repairs based on approved data and solve your problems cost efficient. We also perform field repairs on customers request. Engine Services Partners Sweden AB is an EASA 145 approved Repair and Overhaulfacility. We have full O/H capabilities for the Rolls Royce 250 and GTCP 85 series APU models.We are also performing repair and overhaul on the Honeywell accessories for the RR 250, GTCP 85,PW100 and PT6 engine models. We have full test capabilities for our products and are able to verify that all products meet specified quality and manual performance limits.Try your next service request with us. We will meet or beat any serious competitor’s offer and redeliver your unit on time, at agreed cost and with the highest quality.Please visit www.espsweden.se for full information including our capability list and certificates.